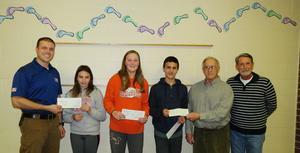 Students raised $800 and donated the funds to three different organizations that deal with veterans. 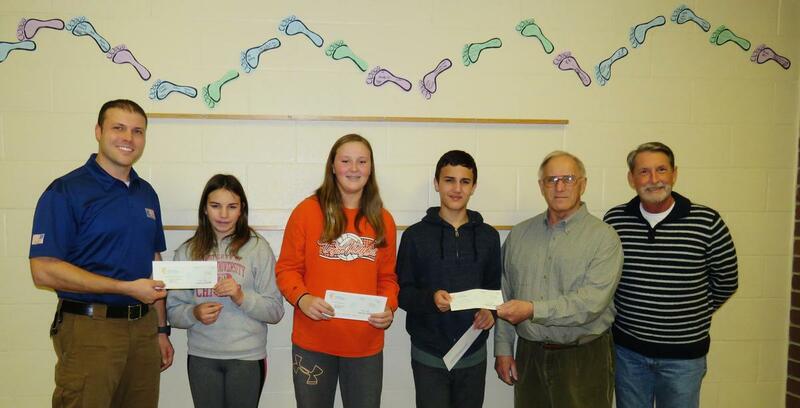 The Middleville Veterans Memorial project received $150 for the 8th-grade class to purchase an engraved brick paver to add to the site. Another $350 was donated to the Barry County United which has programs to assist veterans. Pattrick Jansens of the United Way said last year funds donated by the school helped with assistance to four Barry County veterans and their families who did not otherwise qualify for funding. Two of the assists were for mortgages so families could stay in their homes and two others were for furnaces so veterans could stay warm. The third donation of $300 went to Homes for Our Troops as they build a home for veteran Michael Gower in the Middleville area. This is the second home the organization has built in Middleville for a wounded veteran.